Iridium Mail & Web is a free application for Android and Apple iOS devices that accelerates email messaging and web browsing while connected to Iridium Wi-Fi solutions — allowing you to keep in touch with work, family and friends — anytime, anywhere. Compatible with Iridium GO!, SATTRANS WiFi CommStation and Iridium AxcessPoint, the app uses compression and network-based filters to deliver global capabilities otherwise not possible with standard apps designed for cellular and broadband networks. Includes PredictWind Basic weather service at no extra cost. Supported satellite networks: Iridium only! 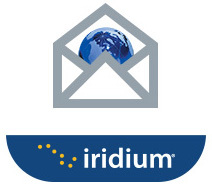 After you activate your Iridium satellite account, visit the Iridium Mail & Web activation page and fill out the registration form.